It’s easy to make a cupcake. And it can be a pretty efficient process. Since that’s the case, it should be easy to make bring efficiency to your whole cupcake business. 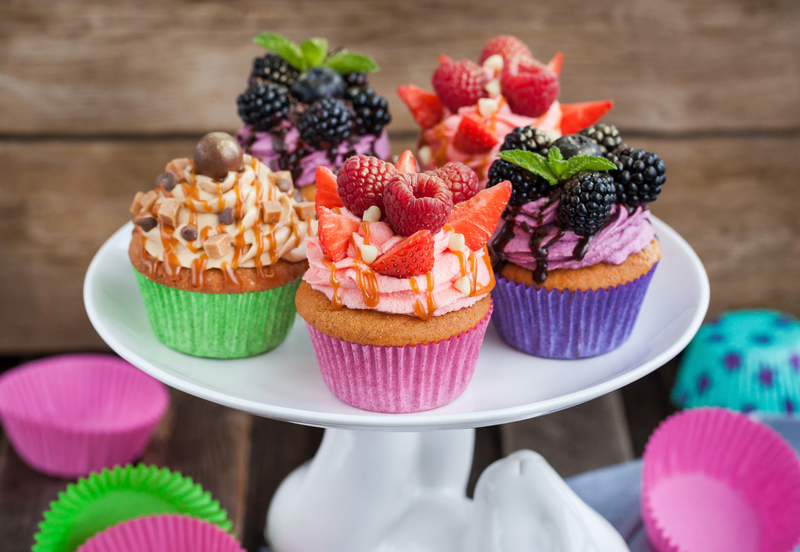 Simply follow these 4 practices to make your cupcake business more efficient. Because you want to attract customers, you need data. It’s important to understand how people find your business. Do they look online? Is it mainly word of mouth or social media? Ask them. And keep track of their answers, every time. To efficiently analyze the data, try setting up a consistent process that reports the amount of traffic. Check twice a week! TIP: use Shoppers Critique or NextPunch to survey customers at your store by using their receipt or with a tablet signup form. Collaboration is the key to the efficient cupcake business. Empower your employees with knowledge of the processes you’re trying to implement. Then give them the tools to make it happen. A well-informed team is a happy team. Rely on efficient tools to keep your cupcake shop’s goals visible – and communicate progress towards meeting them. TIP: Schedule conference calls if you have several stores in varying locations. You can use Vast Conference or join.me. Make sure you have high-quality audio and video before calling. Employee happiness is a sure sign of a successful business. Try to make your cupcake store feel more like a family and less like a group of random coworkers. Treat them with the respect they deserve and they’ll do the same. The happier your employees are at work, the more efficient they will be in their daily responsibilities. And they’ll be more likely to stay with your company, leading to greater efficiency. TIP: Start a reward program that recognizes employees for outstanding service. Who made the perfect cupcake that month? Who sold the most? Call them out! You can also get into fun activities outside of work. Your team will have more fun and connect on a deeper level in a stress-free setting. When you use outdated equipment or make every cupcake by hand, inefficiencies always pop up. To avoid that, use efficient, money- and time-saving systems like the EZFrost. You’ll end up with delicious, beautifully frosted cupcakes – made on a budget and on time. It saves motion, takes no time to learn, and conserves resources. TIP: Give EZFrost a try to make your cupcake business more efficient all around. Maximum efficiency equals more happy customers. One of the easiest ways to stay in touch with your customers is through social media. 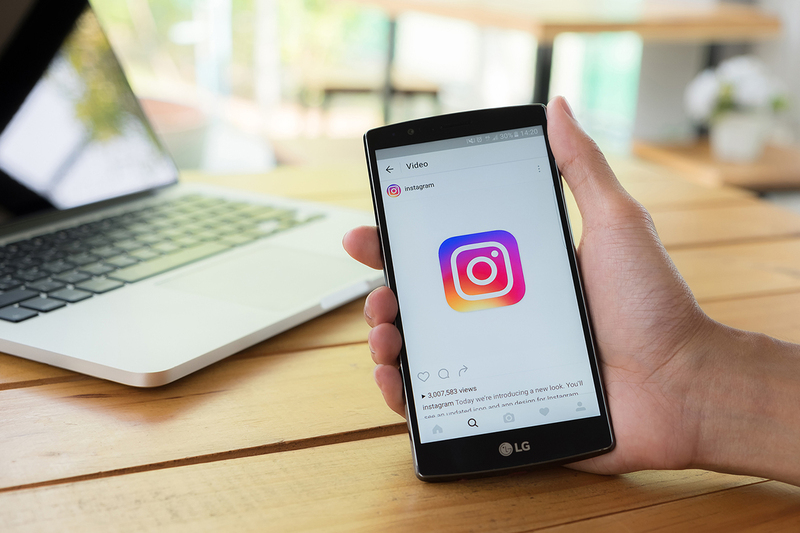 A cupcake business with an active social media profile gains exposure – especially if its posts are relevant and engaging. It’s quick and easy to start a Facebook page for your business. But don’t just put in your info. The internet is littered with neglected business pages. You need to stay active. Watch a tutorial video about how to take really attractive food pictures. Unless you’re already a pro at that, of course. High five if you are – it’s a skill you need. Then post images of your best, most scrumptious cupcakes. Every day. With each image, include a promotion. “15% off all red velvet cupcakes today – they’re going fast!” Something like that. You’re looking to sell out of your daily special. For Facebook to help you promote your cupcake business, people need to know you exist. Put signs on your counter and in your window. Write your page address on your business card. Place a prominent “like us on Facebook” link on your website. Everywhere you show up, point customers to your Facebook page. Twitter is a great place to get involved in what your community cares about. You can do it well – and you can do it poorly. Be careful not to jump on bandwagons. “I like that too! Now come eat a cupcake!” Not cool. Instead, spend at least half your posts promoting neat events around your community. Let’s say your city’s amateur soccer team is in the championship game. That’s great! Cheer for them on Twitter. Twice a day, at the same time every morning and afternoon, post a coupon code for your followers to get a discount on the daily special. They’ll learn to expect it – and even look forward to it. Yelp has a scary reputation. One extremely bad review can spoil a whole bunch of good reviews. Here’s why you don’t need to be scared. If you’re consistently kind to your customers (when they’re nice and when they’re nasty), they’ll forgive almost anything. Bad cupcake? Give them a free one. You just eliminated one bad review. You might even get a great review because your service stands out. Yelp always shows up near the top of internet search results. 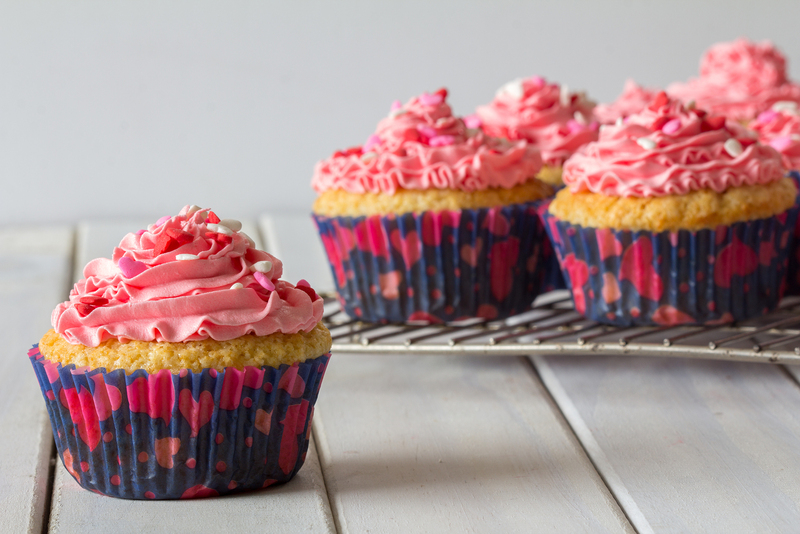 So you can promote your cupcake business well by simply filling out your profile. Even if you don’t see instant results from social media, keep at it! And when you do experience higher demand – because you’re marketing yourself so well – it helps to be able to keep up with those orders. If you find yourself getting behind, you may consider investing in tools that save you time and money. Most people are online for hours every day. If you meet them there, they’ll remember you when they’re craving a good cupcake. You’re looking for ways to promote your cupcake business. And we get that. It’s your baby. Your dream. You really know how to make a delicious cupcake. You speak the language. But it can be hard to know how to market yourself. Learning to promote your cupcake business can be a full time job in itself unless you know where to focus your energy. The faster you can fill an emergency “Oh no, I forgot!” order, the better. You’ll become the go-to cupcake shop – even when it’s not an emergency. Only promote this service if you’re able to turn around quickly. It helps if you have superhuman cupcake frosting skills (or a time-saving cupcake frosting machine like the EZ Frost). Your cupcakes taste awesome. And your customers know it. But only some of them tell other people about your cupcake business. Now it’s time to work on those who don’t. You can add an extra cupcake to every dozen. You may become known for it and the extra sales will make up for the (slightly) higher costs. Try networking with area businesses. Keep their business cards on your counter – and place yours on theirs. You can also become a member of area business networks. They can provide valuable referrals. Finally, find a way to ask your customers to tell their friends. Every time you can tell a customer is happy, go ahead and ask. Be cheerful, and be yourself. Any non-food area business can make a great partner. Hand out their coupons with every order. In return, they can offer cupcake coupons for you. If you only sell cupcakes, you’re more vulnerable to highs and lows in demand. That’s why you’re smart to add small secondary items to your menu board. Good-quality drip coffee, cupcake shakes, and specialty iced drinks are good choices because they don’t require much overhead. If you can bring people in when they don’t want a cupcake, they’ll come back when the craving hits. Your daughter’s softball team is doing a fundraiser for new uniforms. That means an opportunity to promote your cupcake business. People are more likely to buy raffle tickets when they’re guaranteed to get something in return. Capitalize on that by partnering with the team to offer a 10-15% discount to everyone who buys a ticket. 1 ticket = 1 cupcake at 15% off. 2 tickets = 2 cupcakes at 15% off. And so on. You can easily afford to do this if you have cost-saving processes in place. A frosting machine that saves time and ingredients costs, for instance. “Promotion” basically means, “spreading the word.” And we live in a digital world. Most people are online for hours every day. And if you’re not meeting your customers there, you’re missing the boat. Social media warrants a whole article of its own – so that’s what we’ve done. Make perfect cupcakes, and they’ll sell themselves. You need to keep your size consistent, your frosting effortless, and your flavors delectable. If you have an employee who isn’t skilled at frosting, take out that inconsistency by installing an EZ Frost. It turns newbies into pros … pronto. No matter how you choose to promote your cupcake business, one thing is clear. Your best advantage is an excellent product. Focus on making deliciously consistent cupcakes, spend the time you can on external promotion, and treat your customers well. Now go for it. You’ve got this.